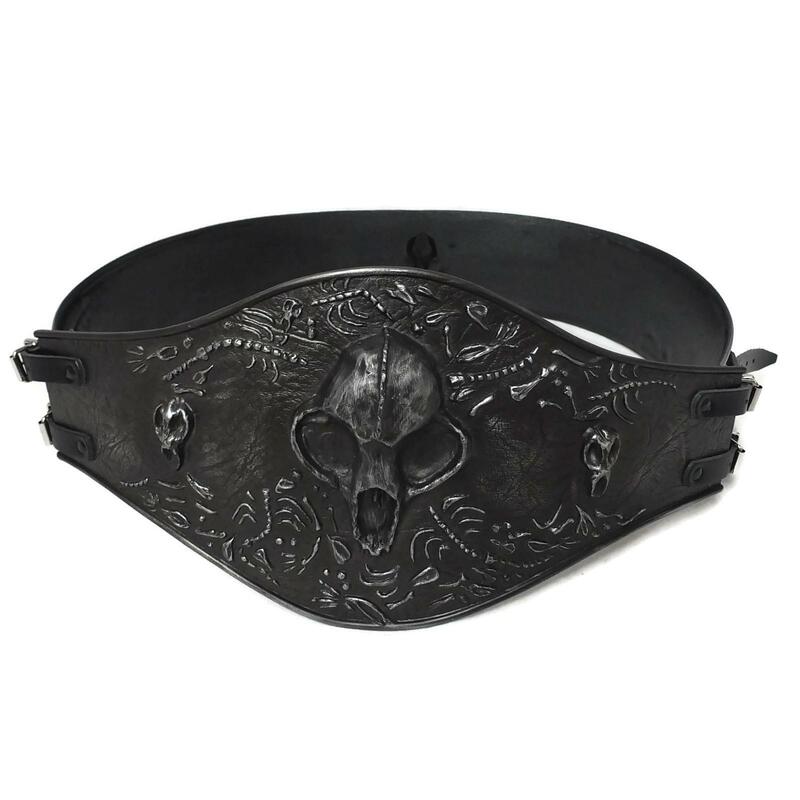 Charnel Shoulders with skulls and bones design. 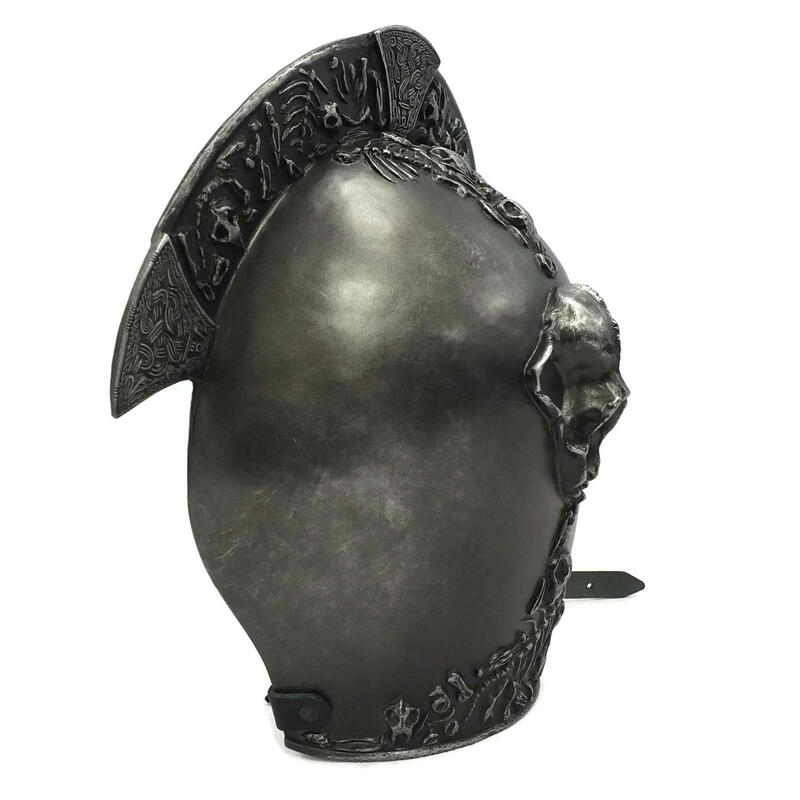 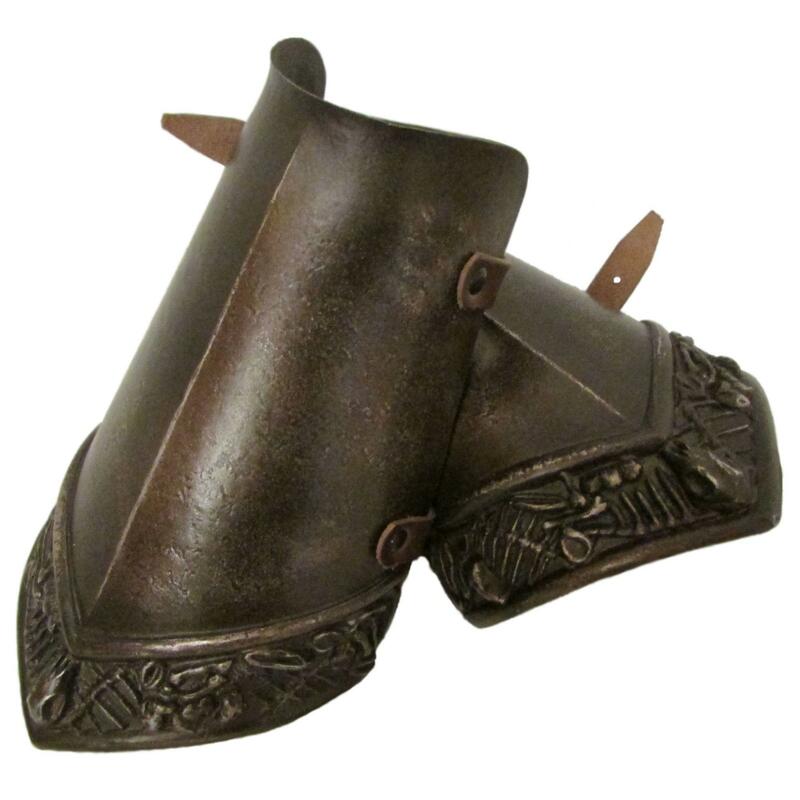 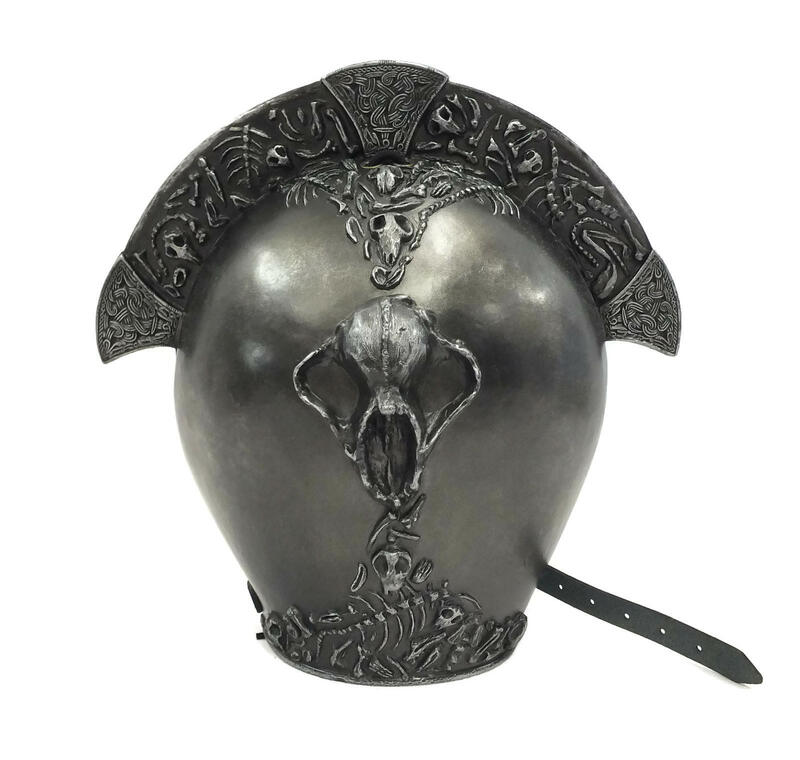 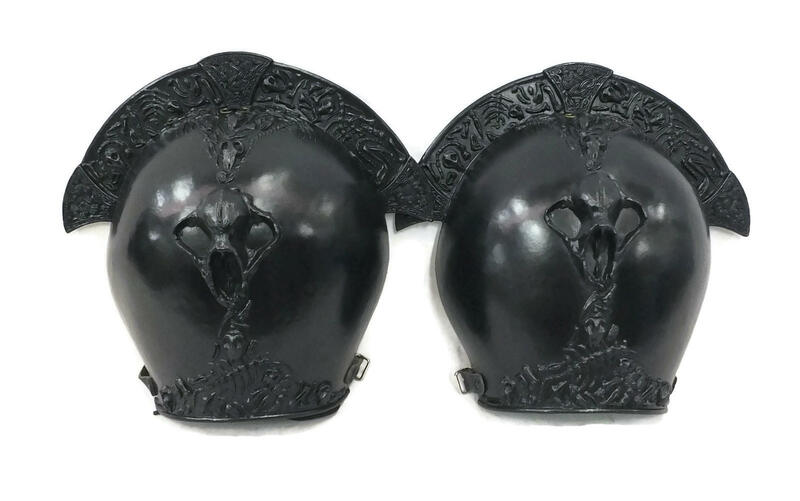 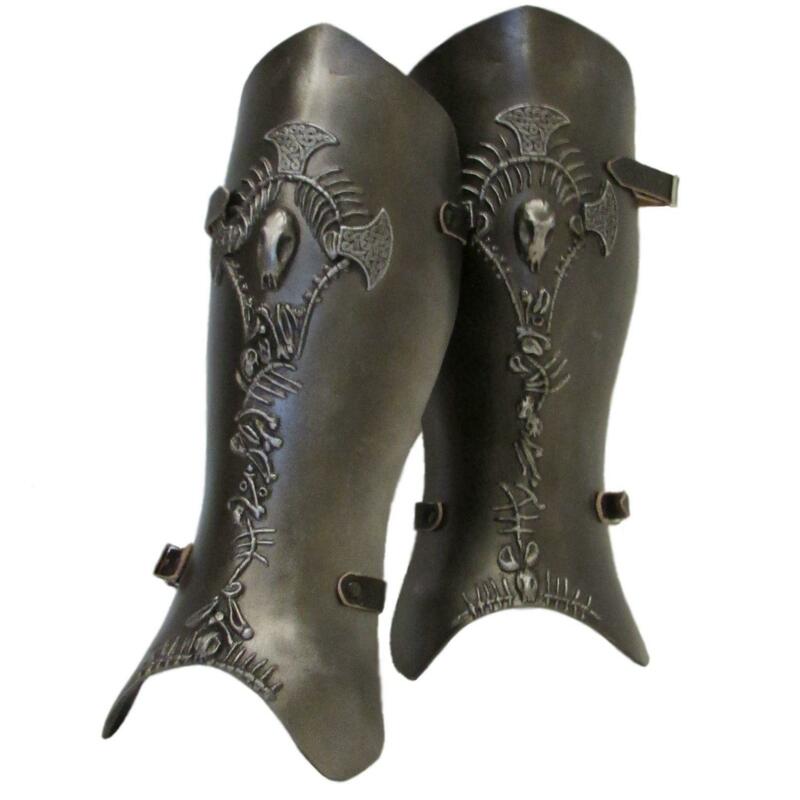 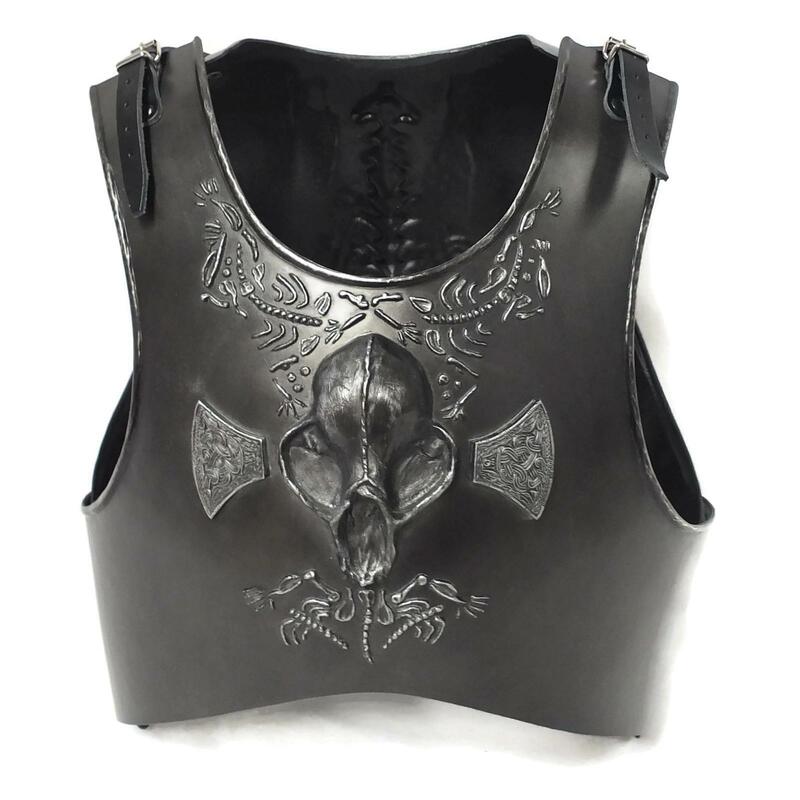 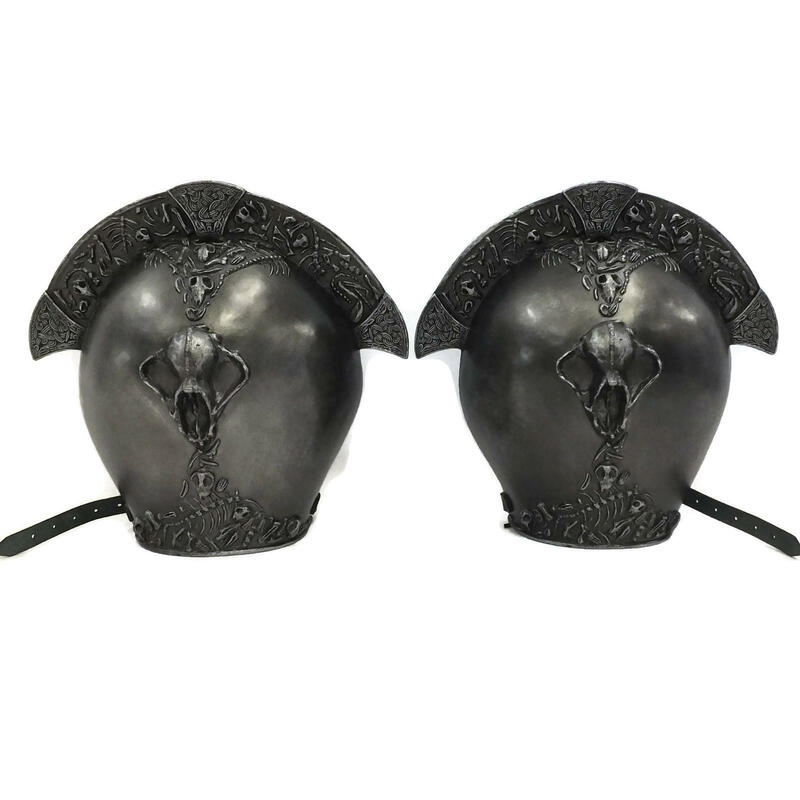 These match with our Charnel bracers and greaves. 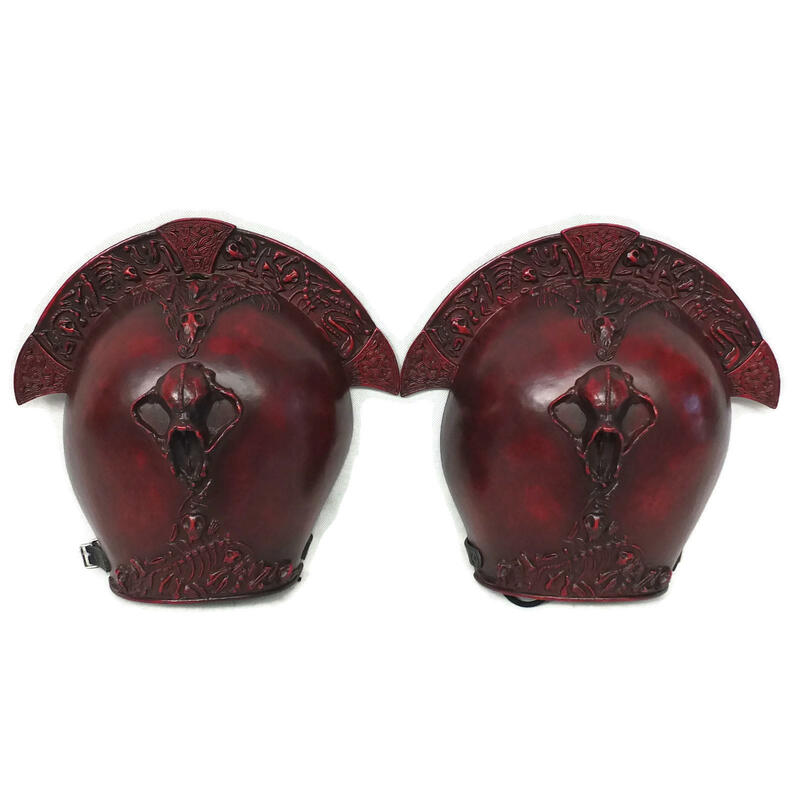 Sold as either a single shoulder or a pair.